Aromatech celebrated its 30th anniversary with all its teams and partners. Aromatech obtained the FSSC 22000 certificat. This new protocol of certification extends the ISO 22000 perimeter by strengthening requirements for food safety of manufactured products. It also provides international recognition by the GFSI as an equivalent to IFS and BRC. Aromatech won the INTERNATIONAL DEVELOPMENT TROPHY "Les Chênes de la Méditérannée" organized by the bank "Société Générale". New look for Aromatech : new logo, new slogan, new corporate identity & style guide ! ﻿Aromatech obtained the double ISO 9001 & 22 000 certification from Bureau Veritas for its European industrial site and headquarters, based in St Cézaire sur Siagne, near to Grasse. Aromatech improves its position in savoury flavours by developing specific natural solutions to meet the main food industry issues. - R&D laboratories of Aromatech group developed SENSALT® : natural flavour able to reproduce salt taste, and to substitute at least 25% of salt in final applications. - Aromatech launched a range of cooked stocks type Natural Flavours, clan label: fish stock, veal stock, poultry stock, vegetable stock and white stock. Aromatech lauches the BeMIX 0 range, in complement to the existing BeMIX range. This new range of food flavours have been formulated for alcohol-free beers and beer based beverages, and is mainly dedicated to Africa and Middle East markets . 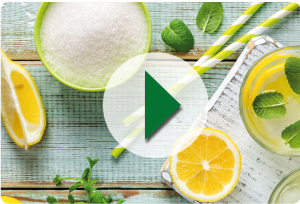 Aromatech improves its position in the natural flavours market by launching specific ranges of 100% natural food flavours, meeting requests of the food drink market regarding naturalness. For the CFIA exhibition, Aromatech created original sweet & savoury flavouring associations, that can be used in beverages (syrups, juice / vegetables based beverages...) but also cold soups and other savoury applications. CHINA: Signature of a joint venture agreement between Aromatech and the Chinese company Apple Flavor & Fragrance. Launch of new flavour combinations for savoury foods with related culinary concepts, in association with a Chef. Creation of a menu of ice creams and sorbets: range of food flavours dedicated for ice creams application. TUNISIA: Aromatech Tunisia, which is expanding, moves into new premises. INNOVATION: launch of the HDAroma range of food flavours for yoghurt, designed for Hard Discount and Private Labels. TURKEY: new premises and extension for Aromatech Turkey which became established on the Asian side of Istanbul. FRANCE: Bureau Veritas validates the HACCP system for the new European site of Aromatech. INNOVATION: launch of a complete range of food flavours developed for teas and herbal teas: Aroma-T®. Moreover, launch of flavours developed for Iced Tea and Iced Coffee. To know more about Aroma-T® range: see the Products category. FRANCE: Aromatech expands its Headquarters and European manufacturing site through the acquisition of new buildings (surface area doubled). PORTUGAL: Aromatech won the Luso-French Trophy for the 'French Exports' category. INNOVATION: launch of a 'retro' range of food flavours reminiscent of childhood. EVENT: Aromatech launches the 1st Food & Drink Industry International Pro Am, an annual golf tournament for professsionals of the food & drink sector, at the Royal Mougins Golf Club. USA: creation of Aromatech Flavorings Inc, American subsidiary based in Orlando, Florida. FRANCE: Aromatech received Prize for Performance, Les Echos La Carte Corporate. Flavours for health/functional food products. BeMIX range, a new concept of flavours for beers and beer-based drinks for use by brewers. To know more about BeMIX range: see the Products category. EVENT: Aromatech launches the Aromatech Trophy, a golf tournament held at Royal Mougins Golf Club. EXHIBITION: for the first time, Aromatech exhibits in the international trade fair for organic products: BIOFACH, in Nuremberg. The group presents its range of certified organic food flavours with new references of sweet and savoury flavours. THAILAND: Aromatech opens Aromatech Thailand in Bangkok. ALGERIA: Aromatech Group creates Aromatech Algeria in Algiers. FRANCE: Inauguration of a new R&D centre on the European premises, for the creation of Aromatech food flavours. CHINA: opening of a sales office (Shenzhen). INNOVATION: Aromatech launchs a range of certified organic flavours. Its certified organic flavours will soon meet a growing success on the organic market. TURKEY: opening of Aromatech Turkey in Istanbul, the second subsidiary of Aromatech Group. Its presence on the Turkish market but also on the Middle East enables the subsidiary to propose its food flavours in the whole region. INNOVATION: launch of the AROMATOP® range of Top Note flavours for savoury products. To know more about AROMATOP® range: see the Products category. FRANCE: The automatic weighing processor, ROXANE, enters production. INNOVATION: launch of the FRUITALYS® range. This range of food flavours is specifically designed for pastry producers, bakers and ice cream manufacturers. It proposes different aspects. To know more about FRUITALYS®: see Products category. TUNISIA: 1st subsidiary in Tunis. Aromatech Group opened its first subsidiary in Tunis, where its food flavours are designed and manufactured for the Tunisian market. International growth of Aromatech Group: opening of sales offices and signature of contracts with exclusive distribution agents around the world. FRANCE: Aromatech Group built its new premises in the St Cézaire sur Siagne industrial area. It will become its Headquarters and European industrial premises for the manufacturing of its food flavours. Aromatech company is created in Grasse (France). The man behind this creation was Jacques MARTEL, the company’s current CEO. The company started to create and manufacture food flavours for the whole Food & Drink industry. Aromatech Group is expanding ! Aromatech USA : the 8th production units of Aromatech Group ! Aromatech Flavorings Inc in Orlando was established in 2007 with an office and flavor lab and will follow the similar expansion model used for its other subsidiaries. The 10,000 square feet new production plant is the answer to shorter production and development lead times. The facility will create, produce and sell the best food flavors to meet customers’ needs and market requirements.